Virgin Media 100Mb broadband reaches one million UK homes | What Hi-Fi? The internet service provider hasn't released details of exactly how many customers have signed up for the 100Mb service, but Jon James, Virgin's director of broadband, says "we had more than 10,000 registrations on the first day we introduced it". 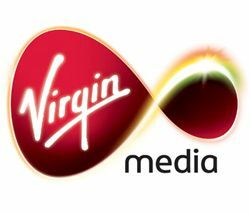 Virgin says it's now on track for complete roll-out of the 100Mb service across the UK by mid 2012. Customers who subscribe to the 100Mb option get a combined router and wireless modem which can handle speeds up to 400Mb. Upload speeds are 10Mb, and the cost of the super-fast service is £35 month as part of a Virgin TV/broadband/phone bundle or £45 a month when bought as a sole product. To find out if Virgin 100Mb broadband is available in your area, go to: www.virginmedia.com/100.